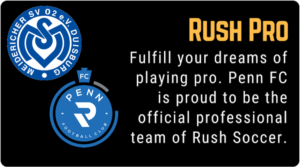 Since 1997 Rush has invested in developing players both on and off the field. 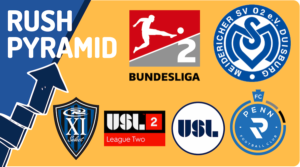 The table below is a list of Rush Alumni that have continued their playing career in the professional world. Rush members earn an average of 3 million dollars annually in college scholarships. Total number of scholarships awarded varies each year based on class size.